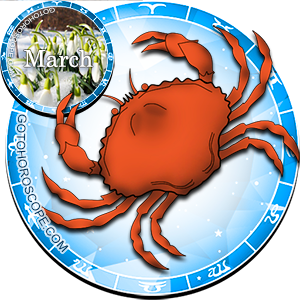 March 2011 Horoscope Cancer, free Monthly Horoscope for March 2011 and Cancer Astrology Forecast for the month ahead. 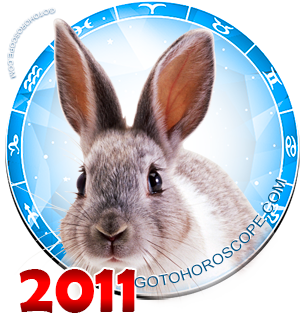 For Cancer, March 2011 year of the White Metal Rabbit will be very interesting, though it will require considerable effort to carry out urgent bulky tasks, as well as solving problems. Training and development are Cancer's main path this month, they must be regarded as a good chance to get a higher position or find a new perspective job within a short time. Cancer needs to apply his favorite tactics in business affairs - to solve them considering all sides so as not to miss important details and nuances. It is important not to fall into euphoria after first victories but continue to work calmly because outbreaks of emotion can hurt both a business affair and relationships with colleagues and partners. It is likely that the first decade of the month will be very uneasy for Cancer - long forgotten unresolved issues will suddenly appear from the past, and can also let down your strength and health. In order not to get sick, Cancer should primarily take care of preventive health care and rest when power is running out. Unfortunately, Cancer this month will not be able to have a big break because he needs to apply a reasonable alternation of hard work with a relaxed holiday in order not to suffer his health or business. Cancer should not succumb to provocations or take upon himself other people's responsibilities or work. This month, work should be distributed in such a way as to avoid jobs involving all hands and overtime work. Cancer who is an employee can even ask his bosses not to load him up beyond measure, while a Cancer who is a businessman has to leave aside ambitious plans of a quick start in business, and engage in a more relaxed and very important work for the future - renewal of old partnerships and friendships. Cancer is one of the few representatives of the zodiacal circle who can afford to invest earned funds in business. Cancer has no obstacle in this path, but there is a serious rule - be careful of games by rivals and correctly fill in all documents. No small details should be neglected because one single mistake may deprive Cancer of earnings or hurt his business. But still it is not advisable to get involved in the purchase of securities or financial investments - this is the very time to think about saving money because in the very near future Cancer will have to make major purchases and invest money in his developing business. March 2011 year of the White Metal Rabbit will not cause any storm and strife in Cancer's personal life , but on one condition - if Cancer will control himself and deter attacks of hysteria or anger. Cancer works a lot, besides, his health shattered with the beginning of the month and chronic fatigue require recuperation. 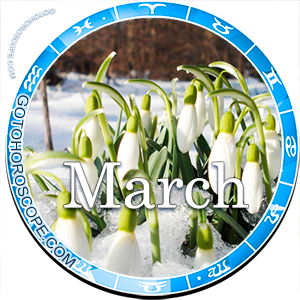 In March, Cancer will appreciate his cozy and quiet corner stronger, where he will always find understanding and warmth. This month, it is very important for partners to understand each other and have the same mood so as not to disturb the harmony existing in their relationship. A romantic mood and sharing a quiet conversation will bring a good fresh note in their relationship. It will be good in free time to visit your favorite theater or museum with your loved one - places that can make one relax and can lift one's spirit. Important issues in personal relationships are best left for a later period, right now - enjoy the harmony and personal happiness.